To start out, we have updates on your faithful prayers, as this then ties into what I’d like to share today: John’s ear tube surgery went very well and revealed how far the Lord has brought us since the early days! First, John was completely back to his happy self about 15 minutes after waking up from the anesthesia. He really didn’t miss a beat and was back in therapy and at school the very next day! I think I was the only one who needed the afternoon off to “rest and recover” after the procedure! Secondly, John’s teachers have all noticed positive improvement since the surgery and report he is making more and new sounds! We are so grateful! Lastly and very significant in our hearts was the redemptive experience of the surgery/hospital itself. One of the main reasons we moved to Atlanta was to be in close proximity to a large children’s healthcare network (Children’s Healthcare of Atlanta is actually the largest in the country), including traditional as well as alternative approaches, therapy centers, etc. It’s also nice to have a grandfather for a pediatrician! Hopefully “B” won’t get tired of the calls asking him to drop by with his otoscope on the way home from work! Now we realize no hospital system is perfect, but it is nice to have options! Many doctors, many facilities, and simply a NEW place to make new memories. A place without so many triggers reminding us of our trauma both in losing Warren and also with John’s former care. In our old city, I basically couldn’t even step foot inside the hospital without Meade. In stark contrast, I realized I wasn’t even phased as I had to go through John’s ear tube surgery by myself. (Meade already had a critical business meeting planned out of state and this Mama wanted to take the first surgery appointment available to fit it in before the new baby arrives!) This was a huge feat in and of itself. 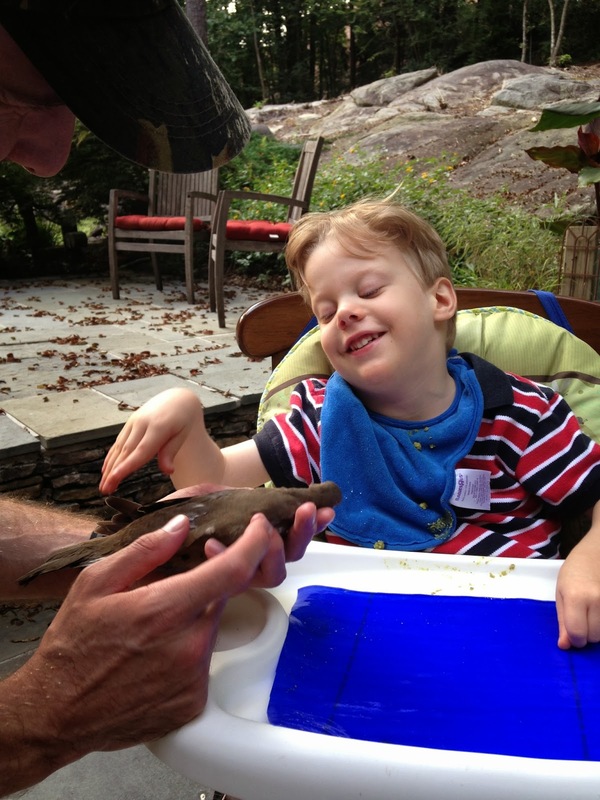 At one point after John was prepped and our surgery time was nearing, some of the old anxieties returned. I couldn’t believe I had forgotten to give my “put the fear of God into the doctors and nurses” spiel, the one where I shock them with the medical error that took Warren’s life. My initial thought was, “It’s not too late! Go grab the nurse and tell her the story.” But then this peace washed over me, and it was as though the Lord released me, saying, “It’s okay. You can be free. This is a new place, a new season, and I’ve got it.” And so I sat back and actually relaxed. And as it turned out, John did not even need to have an IV placed. Praise God! As we have looked back on the last few years, we have seen how God has truly paved the way for us, setting our feet upon the rock, giving us a firm place to stand after years of wobbling. Of course, He carried us in the weaker moments as well, but it is an immense blessing to feel His anchoring presence in tangible ways and know that we can plant our feet firmly upon Him, the higher Rock. Since the early days of dating, Meade was given a vision of building our relationship upon the Rock with Christ as our foundation. It was on top of Lookout Mountain near Chattanooga, TN where He felt the Lord impress upon His heart the truth found in Genesis that “it is not good for man to be alone.” Then the following year, He found himself on Table Mountain in South Africa for a missions trip of sorts and felt confirmation that He was definitely supposed to ask me to marry him. Therefore, it was only fitting that He proposed on top of Bear Fence Mountain right before I graduated from UVA. It was beautiful as we looked from the summit out upon a 360 degree view of mountains surrounding us. On October 22, 2005, my last name even tied in, as I became Mary Elizabeth Stone. 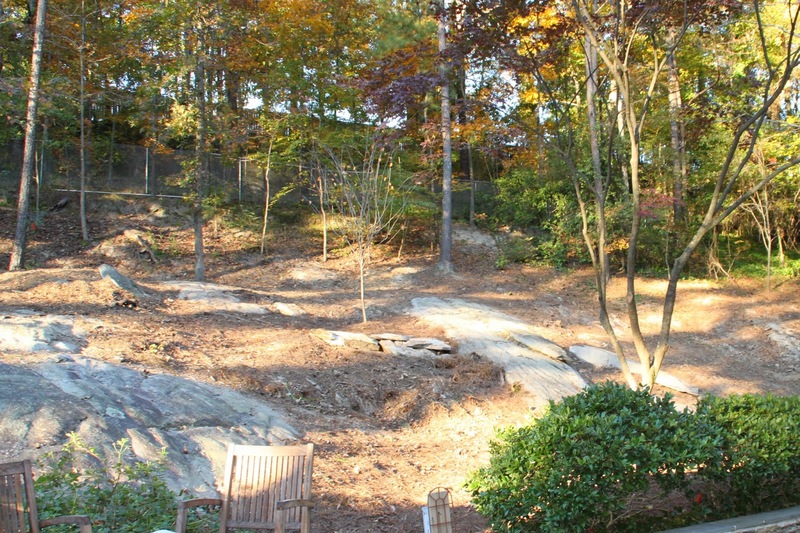 Six and a half years later, we moved to Atlanta, and, unbeknownst to us, our new home is literally built on a rock. A HUGE granite deposit… explains why we don’t have a basement! And the more we have attempted to tame our wild backyard, the more rock we have been able to expose. Now we see it every day as we look out the windows and doors leading to our backyard. What an amazing reminder that the Lord is our ROCK and He wants us to live in light of this firm foundation He has provided. 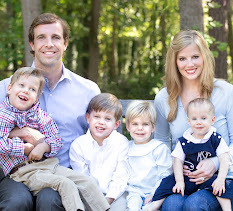 From doctors to therapists to an AMAZING school for John to support from a church home, family and friends, the Lord truly went before us and paved the way in Atlanta (Deut. 31:8). And despite the trials, we can look back and see the He was our Rock all along. He brought Meade and me together, gave us a truly rich and formative season in Virginia, and then brought us to Georgia. Who knows what He could have in store for us next? It is truly redemptive to get to wonder with anticipation rather than dread. That is how He feels about YOU, as well. He is unfolding rich plans for your life. Yes, sometimes it is easier to see His hand at work as we reflect and have the perspective years and their emerging themes can bring. As you can see, one of our themes has been how He has paved the way for us and set our feet upon the Rock. What are your themes? How is the Lord carrying you in the hard and beautiful moments (recognizing these are often intertwined)? Ultimately, we can all trust that one day everything will be made new as we join Him on His holy mountain. Hunting for the perfect tree! Meanwhile Daniel is more interested in this trailer, no surprise there! Oh, I love this so much! I love seeing the themes God continues to weave in and through our lives throughout the years. He never ceases to amaze me. In whatever way continue writing.